But, in mobile I am using a media query to show the ad in the content (so see ad higher up in the email) but also hide the same ad in the right rail when it wraps below the content. Conditional comments (<!--[if (gte mso 9)|(IE)]>) are for the desktop Windows versions of Outlook (2007, 2010, 2013, 2016). The .ExternalClass class was present in previous versions of Outlook.com. But it's no longer of use since last year. Thanks so much Remi. I will give this a try and let you know the results. Thanks again for all your help. The example you provided works like a charm! 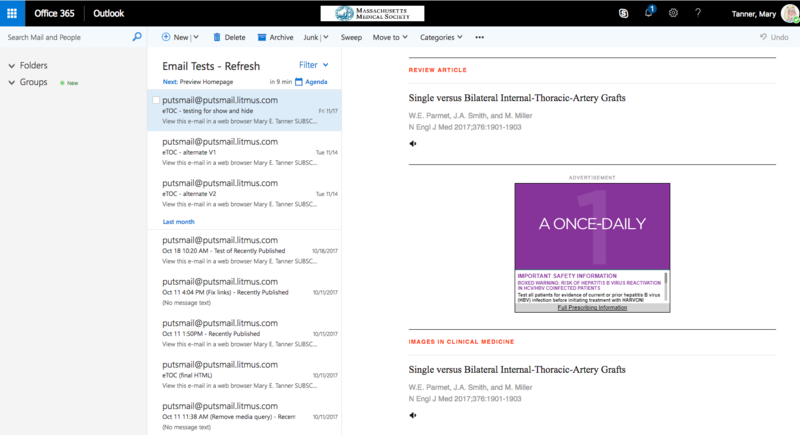 Retested in all emails as noted above, retested in particular Outlook Mac, PC, Outlook.com, and iOS Outlook app and passed with flying colors.